Above: Voltage nightclub was open for business last night after the establishment appealed a Liquor Board decision to revoke its license. 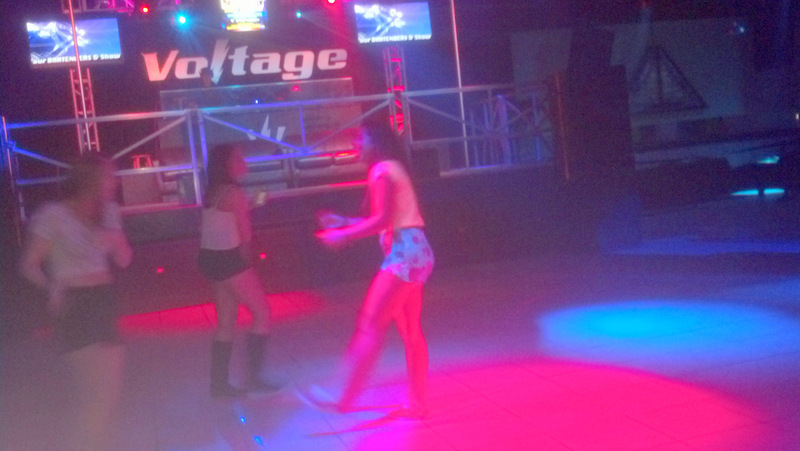 Less than 48 hours after the Baltimore Liquor Board revoked its license – citing unruly crowds, fighting and a shooting – dancers were again dancing and liquor flowing freely at Voltage, the southeast dance bar in the Baltimore Travel Plaza that refers to itself as the city’s largest nightclub. A well-behaved early evening crowd was light, and security guards plentiful, for the Friday “Ladies Night,” which club operators had promised on social media would take place as usual in spite of the Liquor Board’s action. “We will be back open tomorrow night Friday, March 14, with Ladies Night. Club will have alcohol,” the Voltage Facebook page had said on Thursday, the same day the Liquor Board imposed a rarely-exercised sanction, pulling the club’s license. The legal maneuver to make the speedy-turnaround possible took place in the space of a couple of hours, late yesterday. Lawyers for the club appealed the Liquor Board’s decision in Baltimore City Circuit Court and just over an hour later, Judge Alfred Nance granted the club a 30-day “stay” allowing them to continue serving alcohol. “I respect the judge’s decision, but I was just surprised by the speed with which the court moved,” Liquor Board Chairman Stephan W. Fogleman said, speaking with The Brew today. Fogleman was struck by the 11th hour nature of the proceedings, saying he had never seen a revocation appeal move so quickly. “The appellant’s counsel indicated that the appeal was filed at 3:17, and Judge Nance heard the case at 4:30,” Fogleman said. 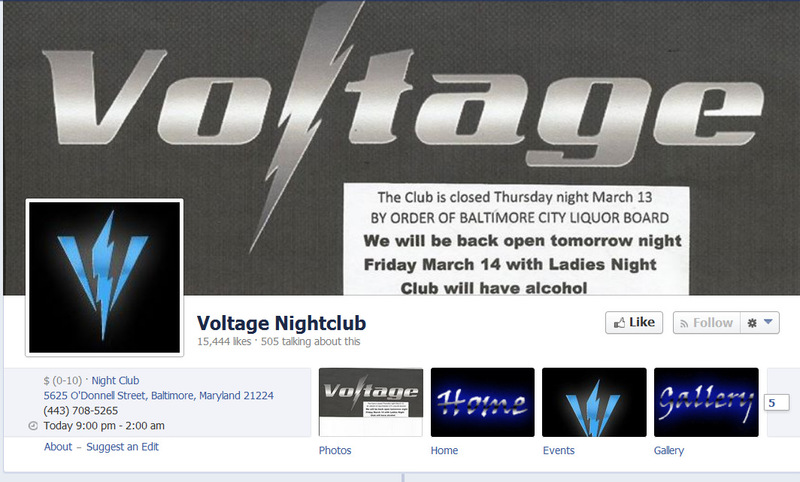 How the Voltage Facebook page looked Thursday. Club owner Louis Principio III had made it clear at Thursday’s hearing that he disagreed with the Liquor Board and planned to appeal the decision. Fogleman also cited a November incident in which the club owner released pepper spray into a crowd at the club while riding on a golf cart. A uniformed police officer had been among those incapacitated during the incident. Voltage, which opened in October 2012, is located in the former Greyhound Bus Terminal. Principio’s family used to own the popular Baltimore heavy metal club, Hammerjack’s.